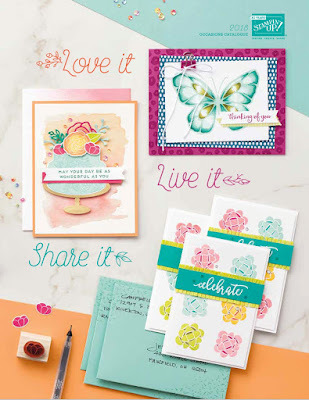 From Where I Stamp: Occasions and Sale-A-Bration brochures! Today is the day for new products and free items! The Occasions and Sale-A-Bration brochure are live. If you would like a copy and live in Canada please contact me to request a brochure. For every $60 you spend you will receive a free Sale-A-Bration product! New this year there are 2 levels of product you can earn. 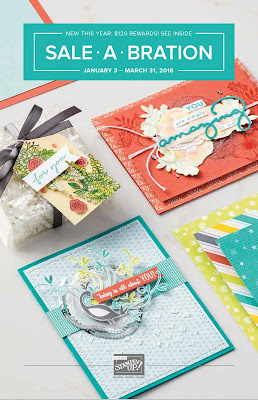 In the Sale-A-Bration catalogue it will let you know whether the item is redeemable with a $60 or $120 order.